I'm really into "second cities" these days. Over several generations, Industrial Age powerhouses in Europe turned into what we would call the "rust belt," while their elegant "first city" counterparts enjoyed the luster of the Information Age. But over the last decade or so, the rust has become a trendy accessory and industrial ruins have turned bohemian chic. A prime example is Porto — the hub of Portugal's north. Just three hours from Lisbon by train, it's fiercely proud of what distinguishes it from the national capital as it ages happily along the Douro River — along with most of the world's port wine. Porto seems entirely made of granite — and even its Romanesque cathedral is stout and stony. But the city's inviting shopping streets are ornamented with playful architectural touches and lovely blue-tiled facades. Spared by the 1755 earthquake that toppled Lisbon, Porto is charmingly well preserved, and the city has kept its Old World atmosphere. The city comes with the steady sea breeze, seagull soundtrack, and ever-changing weather that you'd expect from an oceanside city. You're likely to get sun and rain at the same time — causing the locals to exclaim, "A widow's going to remarry." The two biggest draws here are the photogenic riverfront Ribeira quarter and the tourable port-wine lodges just across the river in Vila Nova de Gaia. 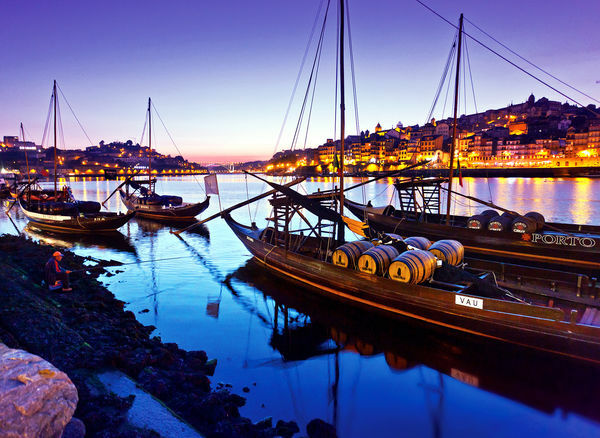 (Aficionados of port — or of dramatic scenery — can use Porto as a springboard for visiting the nearby Douro Valley, where grapes grow on steep stone terraces.) But the city also comes with a thriving food scene — including one of my favorite market halls anywhere, bustling shopping streets, architecturally lavish churches, narrow cobbled lanes, and a handful of museums worth a look. The Ribeira (literally "riverbank") district is the city's most colorful and touristy quarter. Strolling the Ribeira embankment, while popping in and out of shops that line the way, is Porto's best lazy-afternoon activity. Be sure to duck into the back streets where time-worn faces and once-dazzling facades seem to ferment into an intoxicating sip of port-for-the-eyes. Downtown Porto is compact but steep, making distances seem longer. Foot-weary travelers can take one of the "Six Bridges" cruises (operated by several different companies) that leave continually from the Ribeira riverfront. These relaxing one-hour excursions float up and down the Douro River, offering a fine orientation and glimpses of all of Porto's bridges — most notably the majestic steel Ponte Dona Maria Pia, artfully designed by Gustav Eiffel, architect of Paris' famous landmark. 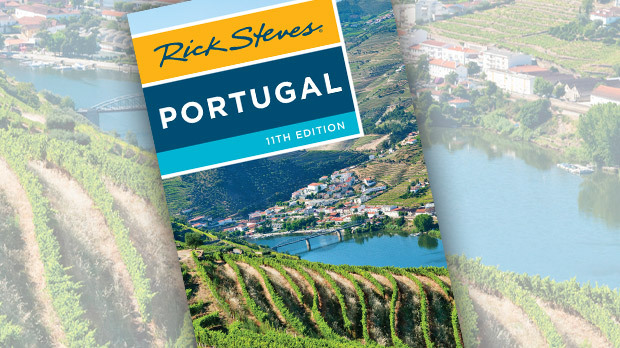 For wine connoisseurs, touring a port-wine "lodge" — where the wine ages for years — and sampling the product is a must. Port is a medium-sweet wine, usually taken as a digestif after dinner. For some, port is an acquired taste — but it's one worth cultivating. As I always say, "Any port in a storm…"
In the district of Vila Nova de Gaia you can choose between 18 lodges that are open for touring and tasting. At any lodge, the procedure is about the same; travelers can simply show up and ask for a tour. Sandeman, the most high-profile company, is sort of the Budweiser of port — a good first stop for novices. If you don't have much time, consider visiting one of the more conveniently located tasting spots in downtown Porto (though these lack the atmospheric wine-cellar experience). In addition to tasting wine, Porto offers many food tours. Like similar tours that are trendy throughout Europe these days, they include roughly five or six stops, spread out over about three hours and about a mile's walk. They're not cheap, but they're a good value considering that you get a full meal as well as plenty of cultural insights from an engaging guide. Porto natives are known as "tripeiros" (tripe eaters) — much as Lisboans are often called "cabbage-eaters" — and you may indeed encounter tripe stew on your food tour. Along with this local specialty, you'll see plenty of seafood and meat on Porto menus. A favorite sandwich is the francesinha, which is like a Portuguese French dip with a tomato-based sauce. Picnic sandwiches and scenic perches — for people-watching, views, or both — are easy to come by in lively Porto. The town's two most famous foods — tripe stew and a quadruple-decker sandwich drenched in sauce — say it all: This place is unpretentious. Locals claim they're working too hard to worry about being pretty. 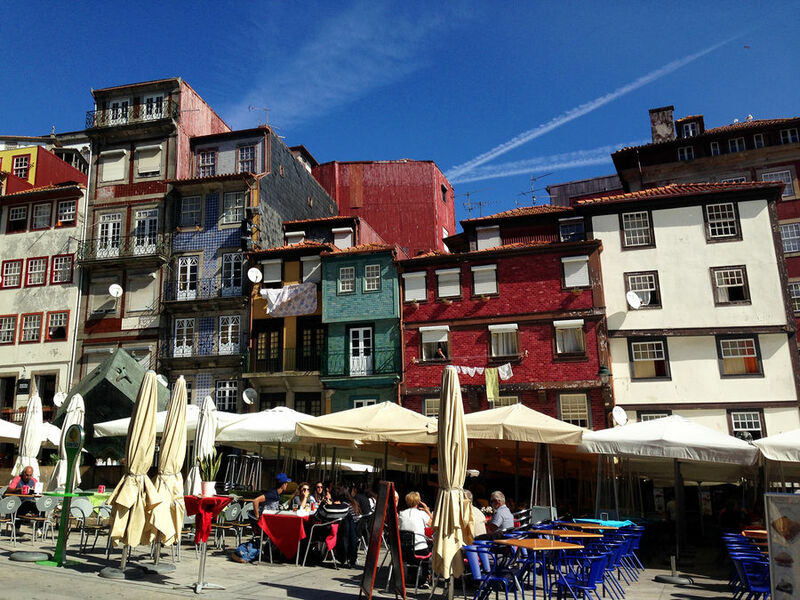 As an oft-repeated saying about Portuguese cities goes, "Coimbra studies, Braga prays, Lisbon parties…and Porto works." Portugal's second city is ever-changing, often chaotic, and worth a visit now more than ever. Whether you're enjoying Ribeira's riverfront promenade, cruising the Douro, or sampling port in this port town, Porto gives you a fine taste of authentic Portuguese culture.